Do you want to have good feelings? Most things in life have a value. 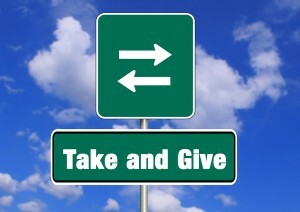 There are many ways to take and give. Mostly humans use money. What about exchanging skills or opportunities? House Sitting is one of those possibilities. I love to change my life and to be surprised. Open your mind and let´s find out what our take & give could look like!